Akron Drive over Norfolk Southern Railroad (B-4746) | DRMP, Inc. The B-4746, a NCDOT project, is an estimated $4.5 million structure project located in Winston-Salem, North Carolina. 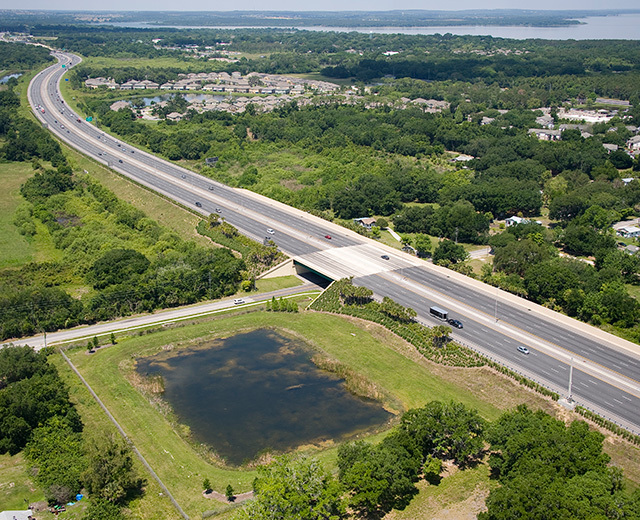 The project will replace a historic bridge built in 1928 that is becoming structurally obsolete and does not provide accommodations for efficient traffic flow. DRMP provided bridge design services for the replacement of the existing 6-span bridge on Akron Drive over the Norfolk Southern Railroad. The existing facility is a designated historic bridge and accommodates two lanes of traffic with sidewalks on each side. The existing 6-span bridge serves mixed residential and commercial areas. 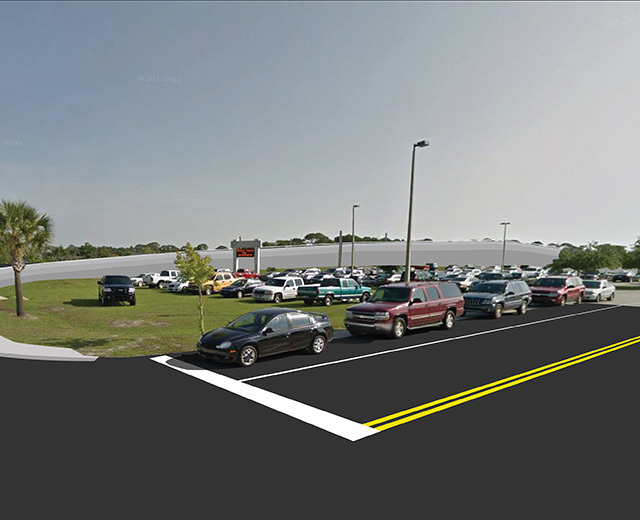 The replacement structure includes provisions for two traffic lanes, turn lanes and sidewalks on each side. 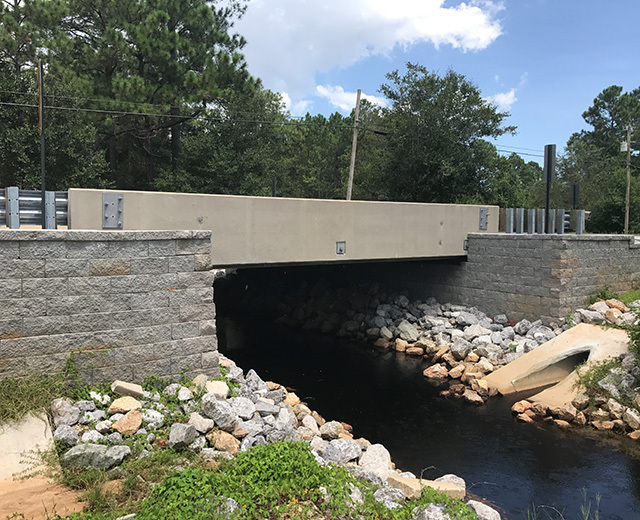 Coordination with the railroad led to a reduced bridge length that spans over all tracks with a single span 160-feet long steel plate girder, eliminating all intermediate piers and crash walls near the existing tracks. The existing historic structure includes long arches, decorative panels on the barriers, and historic lamp posts with obelisks. Several aesthetic enhancements, such as decorative railings and lamp posts, are included as part of the replacement structure to maintain the character of the historic bridge. 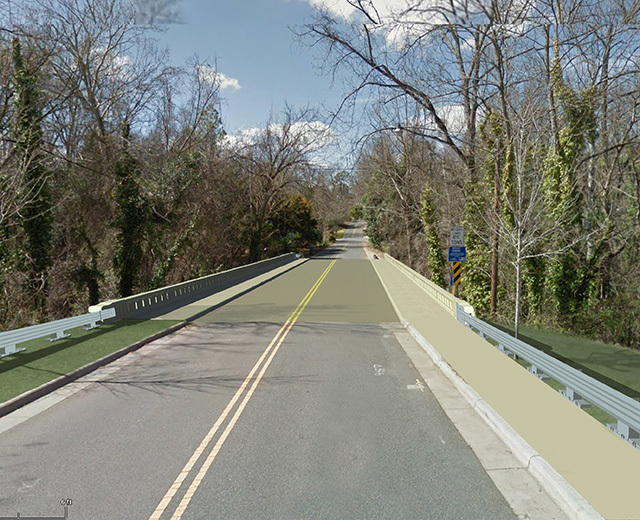 The replacement bridge will add turn lanes to the structure to relieve periodic congestion. Aesthetically, the bridge will provide the same historic ambience for the community.